James R. Fischer, 20, passed away suddenly on Friday, March 31, 2017. Born in Manhattan, New York to James and Arlene Fischer, he lived the majority of his life in Westfield, New Jersey. James was a beloved son, brother, grandson, cousin, nephew and above all, a phenomenal friend. He was survived by his parents James and Arlene, his sisters Amanda and Erica, his grandmother Jeanette, his aunts and uncles Elle, Scott, Edward, Eileen & Deborah. his cousins Rich, Jessica, Danielle & Christopher followed by many other loving family members and friends. James was a creative and intelligent man who had many dreams and goals for his life that he worked very hard to achieve in the short amount of time he had here with us. He was so excited about life, was adventurous, and made every day of his life count. He enjoyed going to the beach, surfing, snowboarding, golfing and many other outdoor activities. The family will receive friends and loved ones on Tuesday April 4, 2017 from 2-4pm and 7-9pm at The Dooley Colonial Funeral Home at 556 Westfield Avenue in Westfield, NJ. 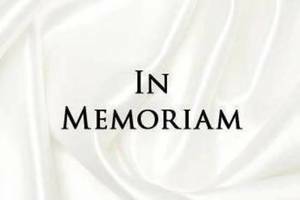 A funeral mass will be held on Wednesday, April 5th, 2017 at 10am at St. Helen’s Church at 1600 Rahway Avenue in Westfield, NJ, which will be immediately followed by a burial service at Fairview Cemetery. Please direct any donations to the St. Helen Helping Hands of St. Helen’s church of Westfield, NJ. Donations can be made payable to St. Helen Helping Hands and mailed to: 1600 Rahway Ave, Westfield, NJ 07090.